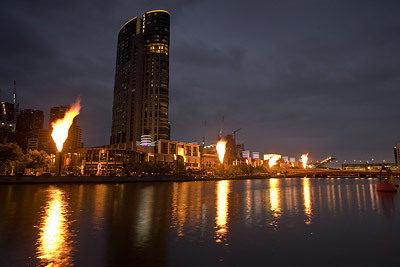 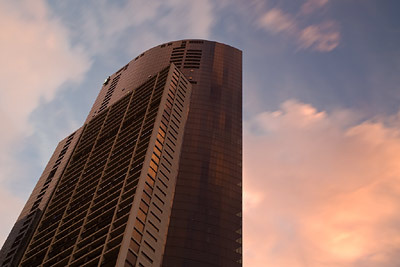 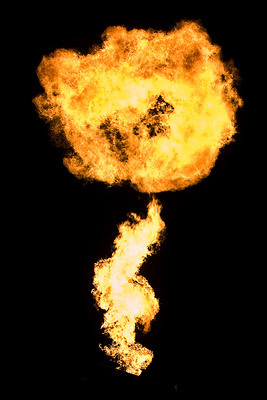 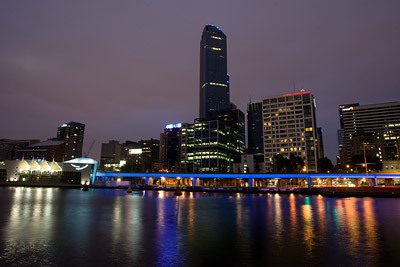 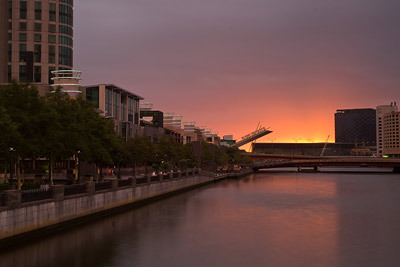 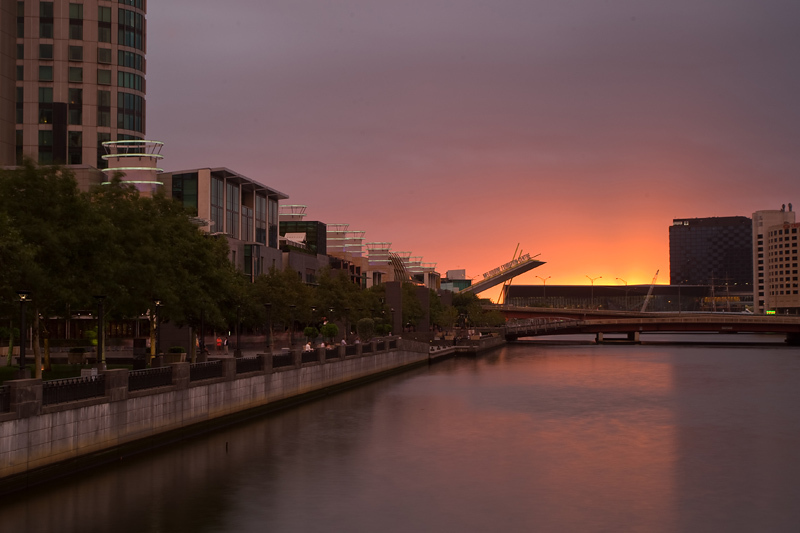 Took an evening walk along the Yarra River, and setup for the hourly fireballs from the Crown Casino. 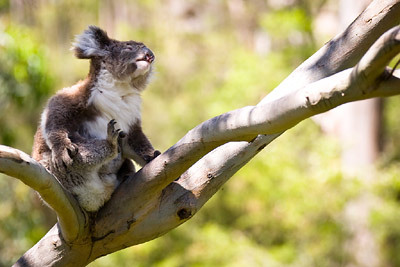 Taking the beautiful Great Ocean Road back to Melbourne, came across a forest of Eucalyptus trees. 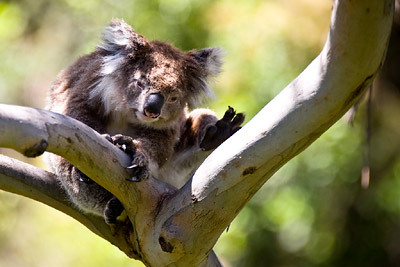 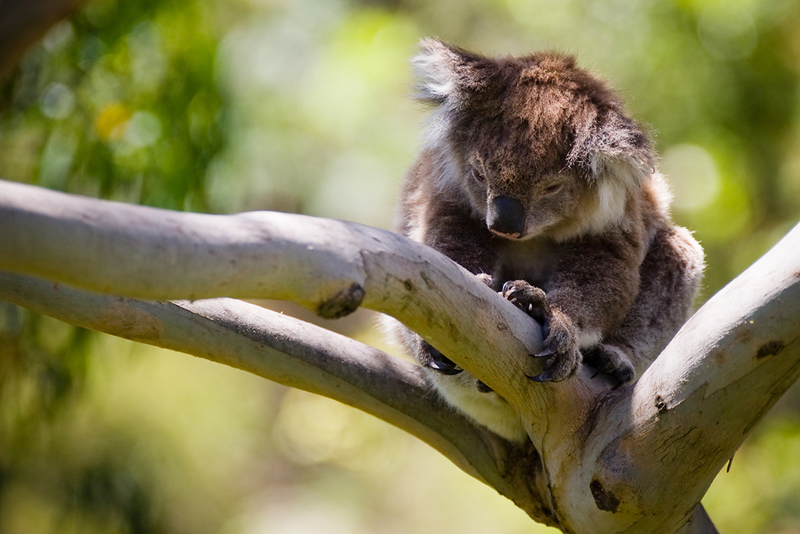 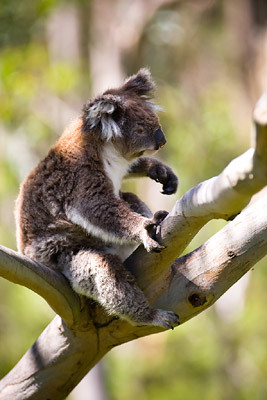 Immediately saw these cute Koala very close to the road edge. 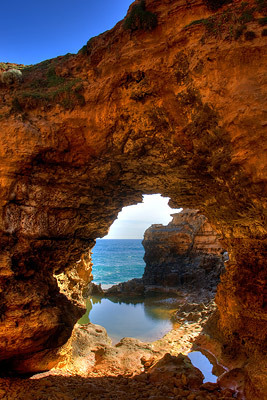 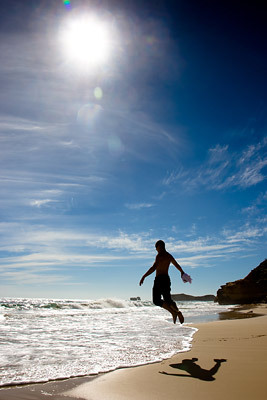 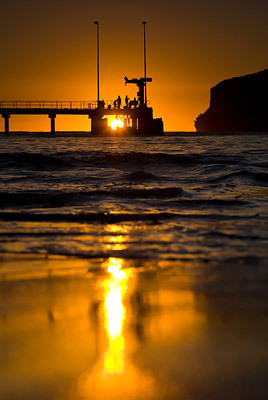 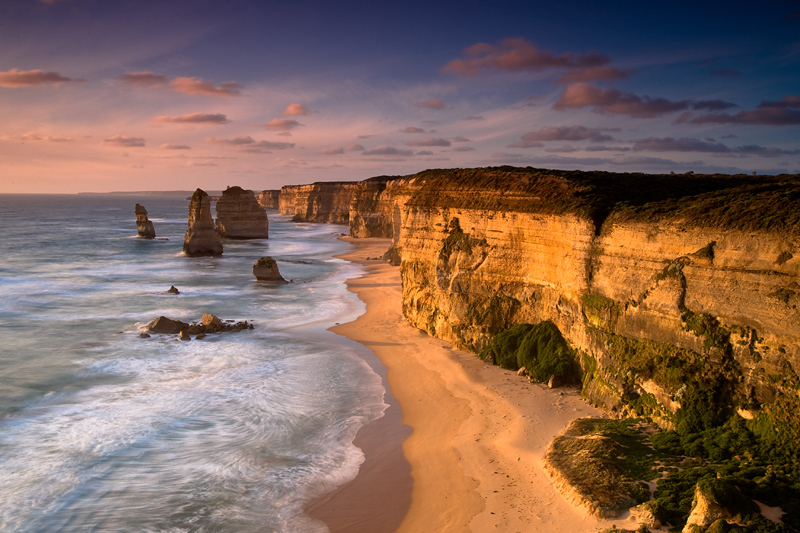 Port Campbell is right in the heart of the Great Ocean Road, and just ten minutes away from the Twelve Apostles. 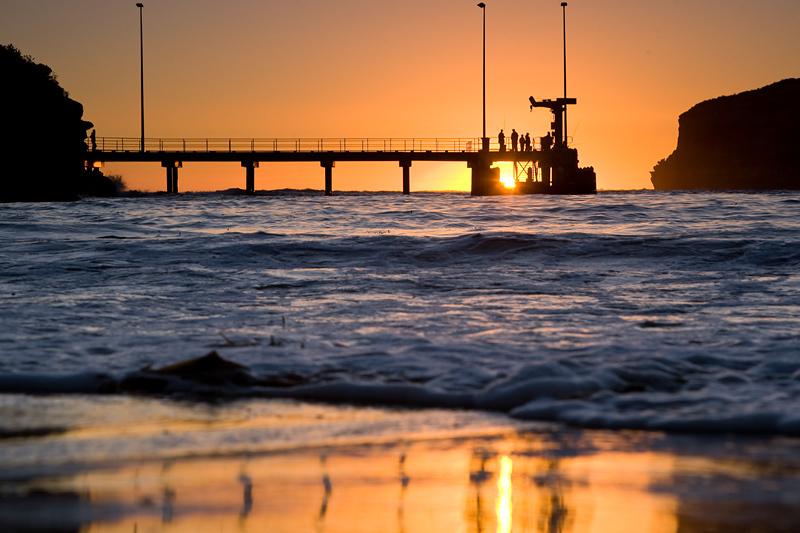 With no time to venture back out to one of the coastal features, a simple sunset against the towns pier was all that was needed. 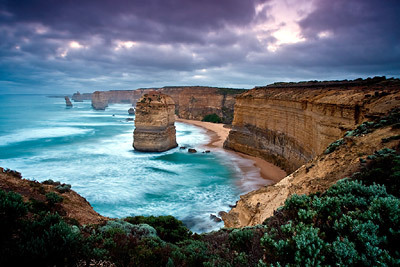 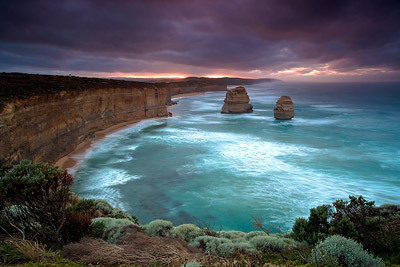 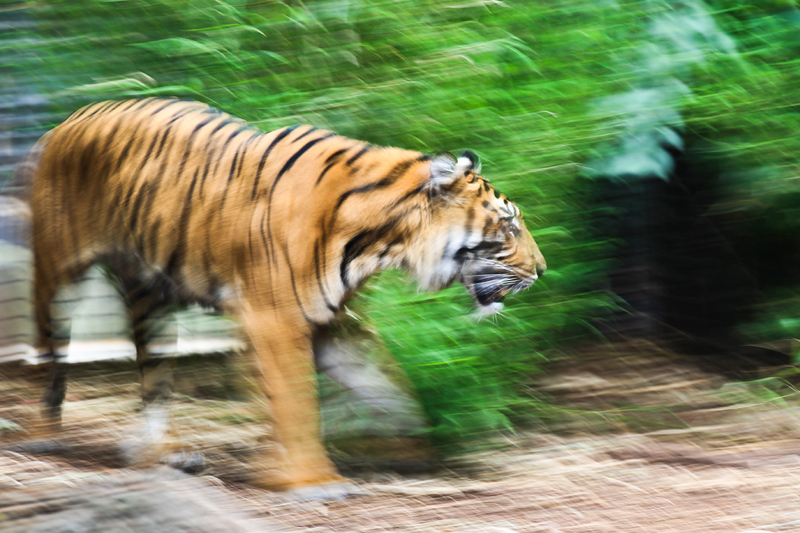 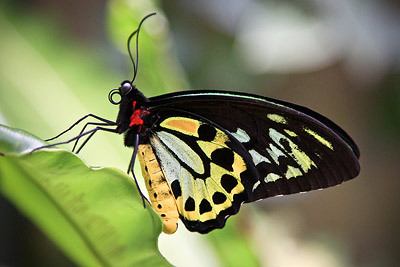 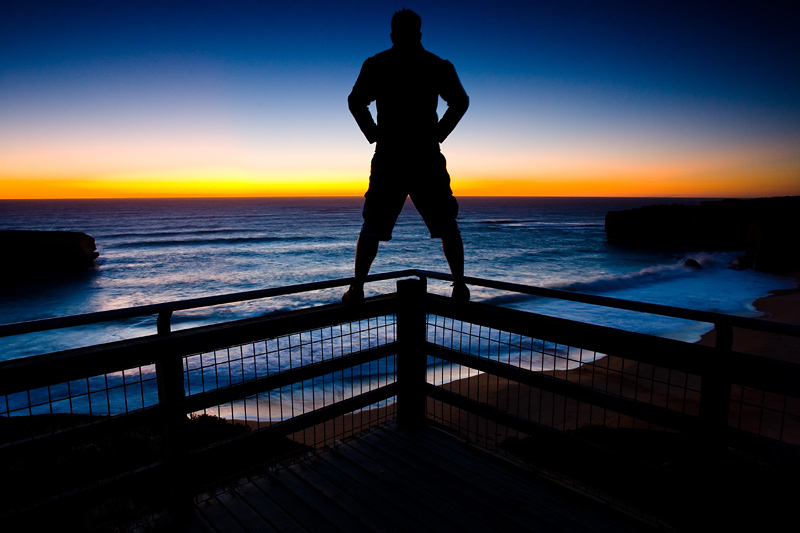 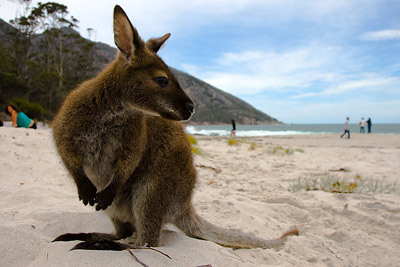 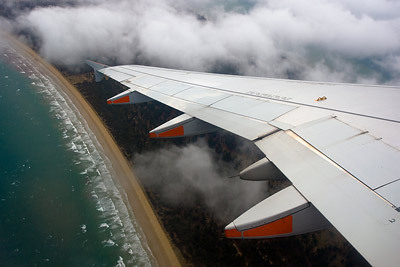 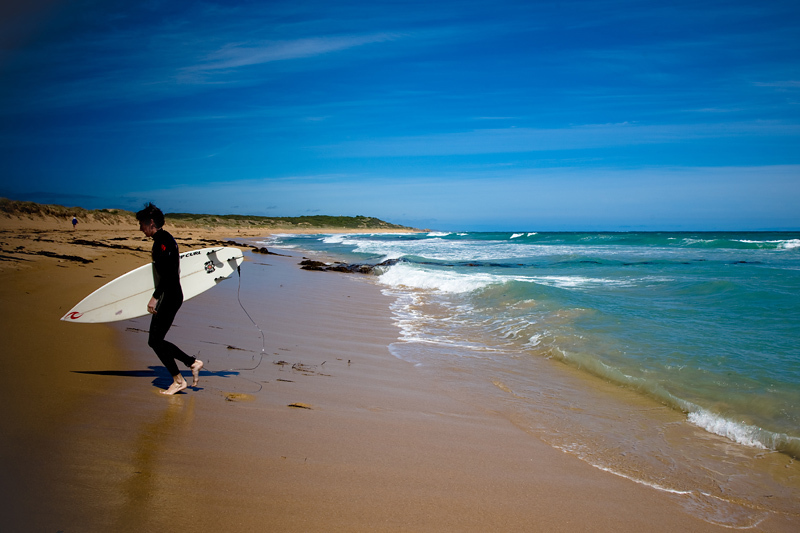 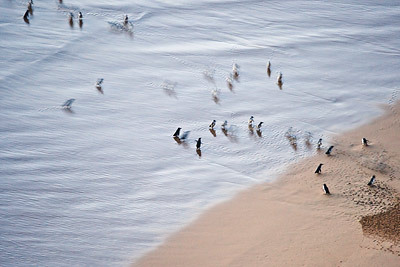 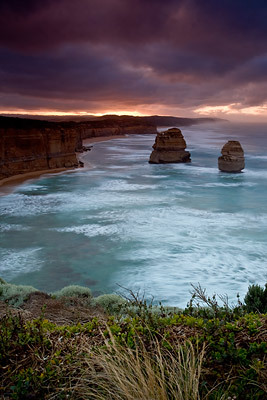 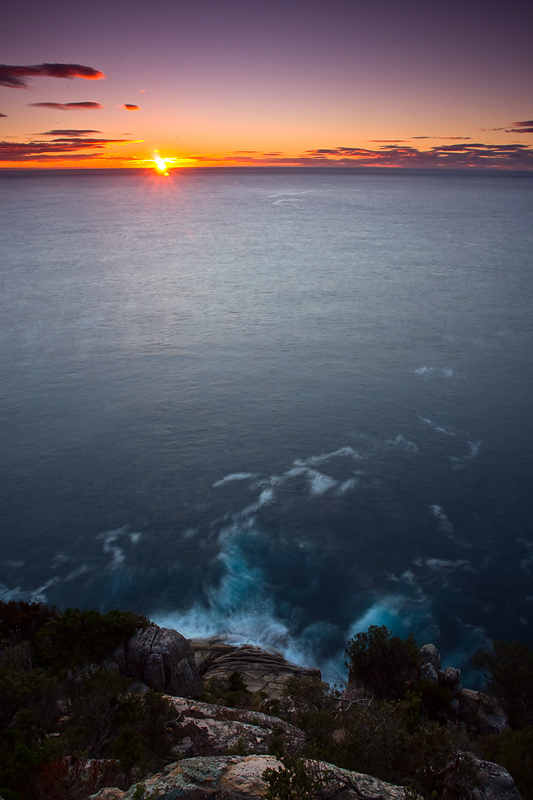 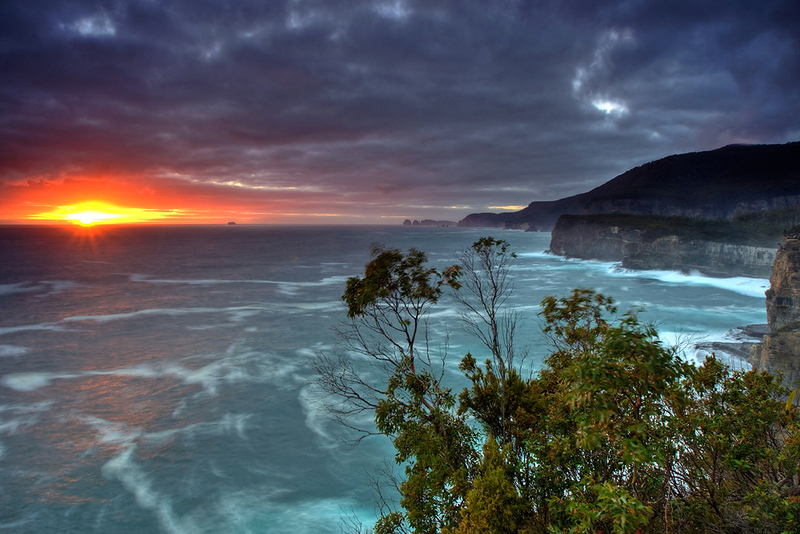 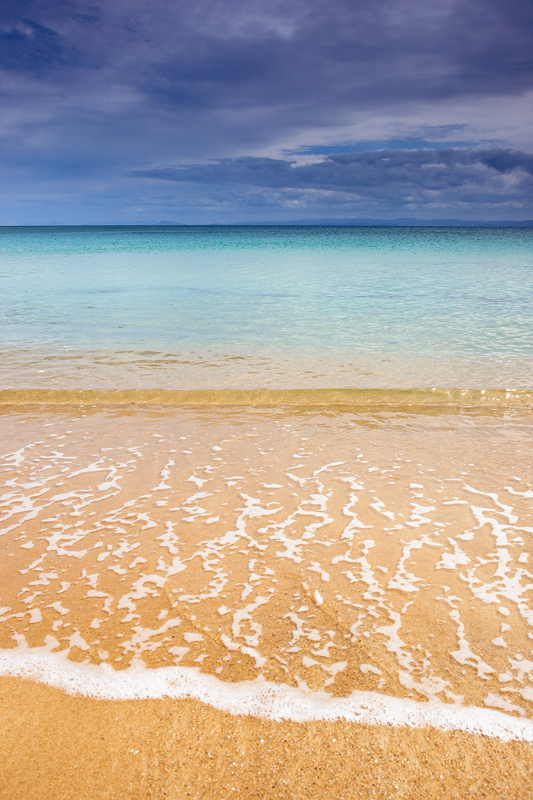 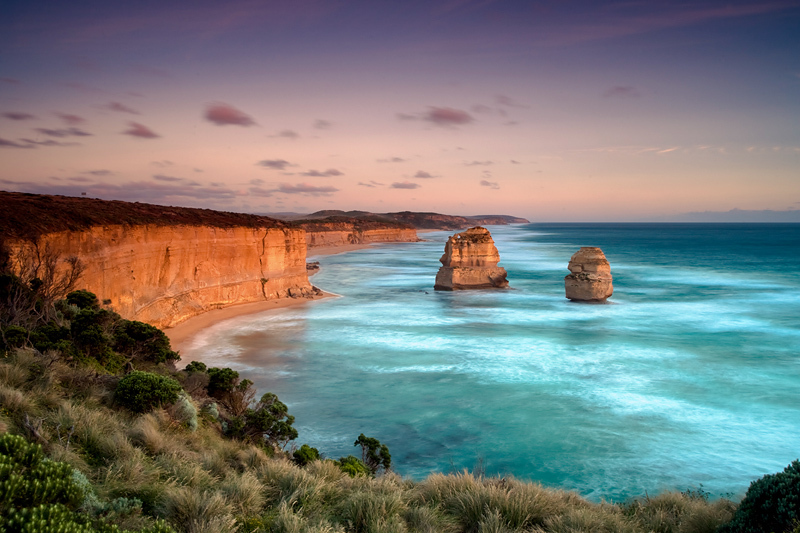 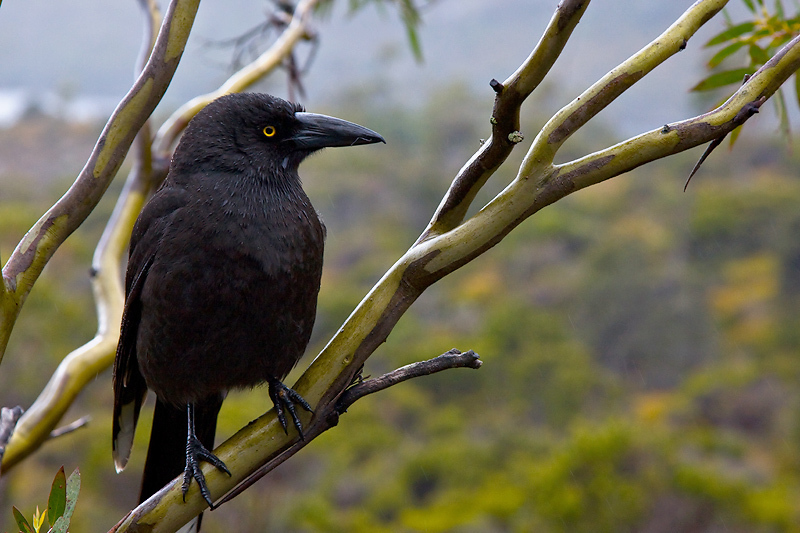 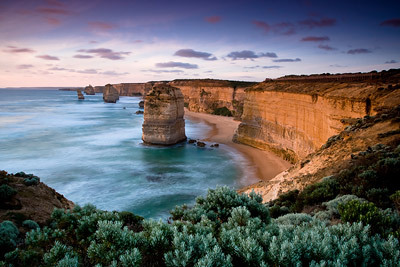 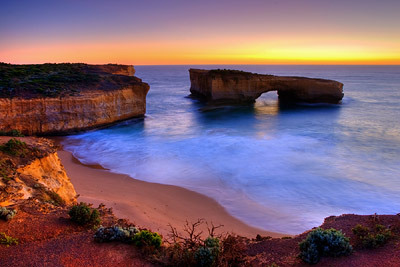 The Great Ocean Road offers some of Australia’s best scenic coastline drives. 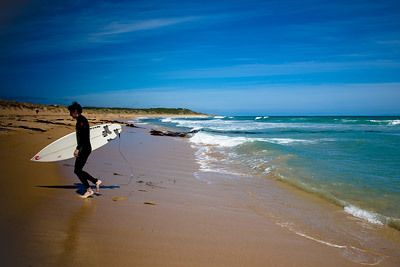 During the weekend, spent much of it driving along this beautiful 243km stretch of road between Torquay and Warrnambool. 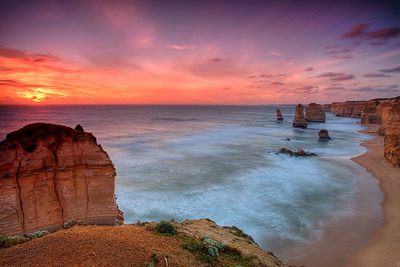 Following from the previous night trip to the Twelve Apostles, headed back in the morning to catch a glimpse of the sunrise. 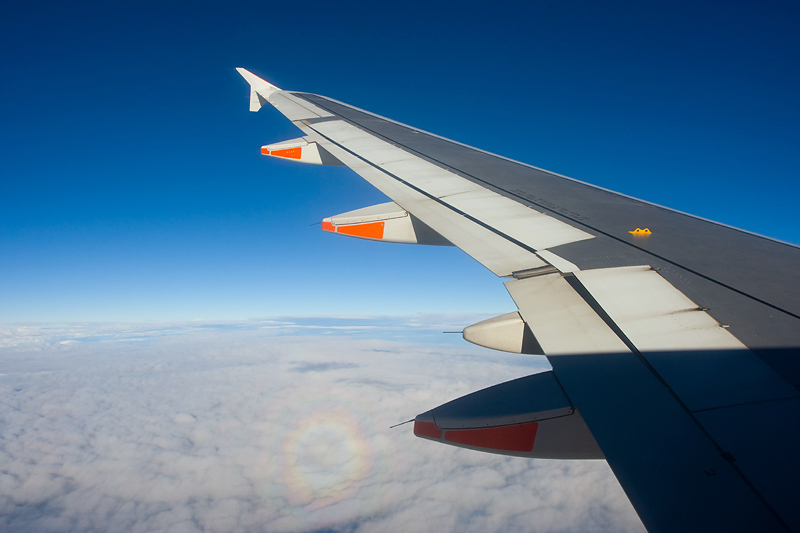 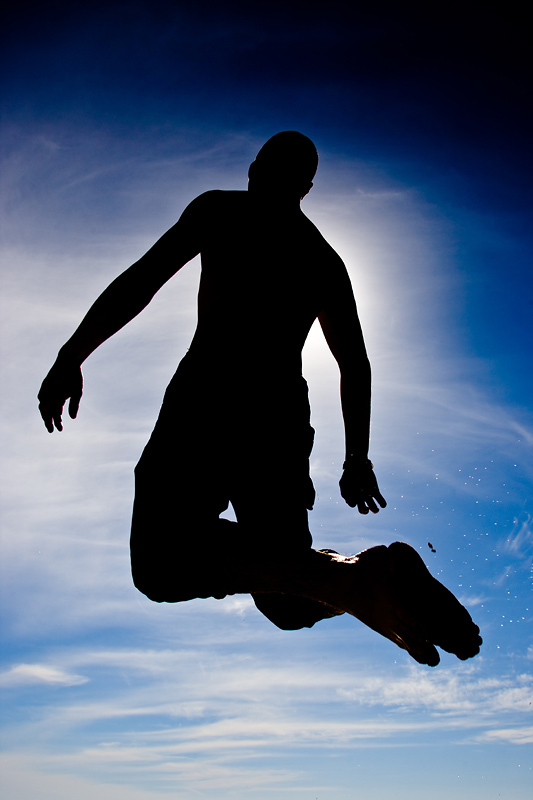 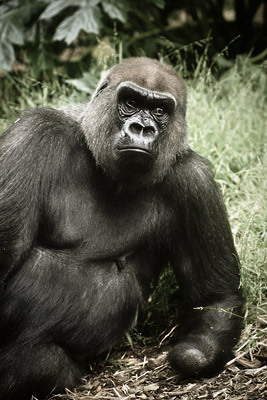 Clouds obscured it, until later in the day when they dissipated and the temperature rose up. 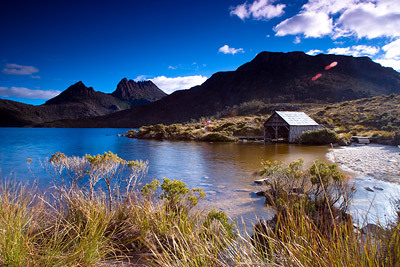 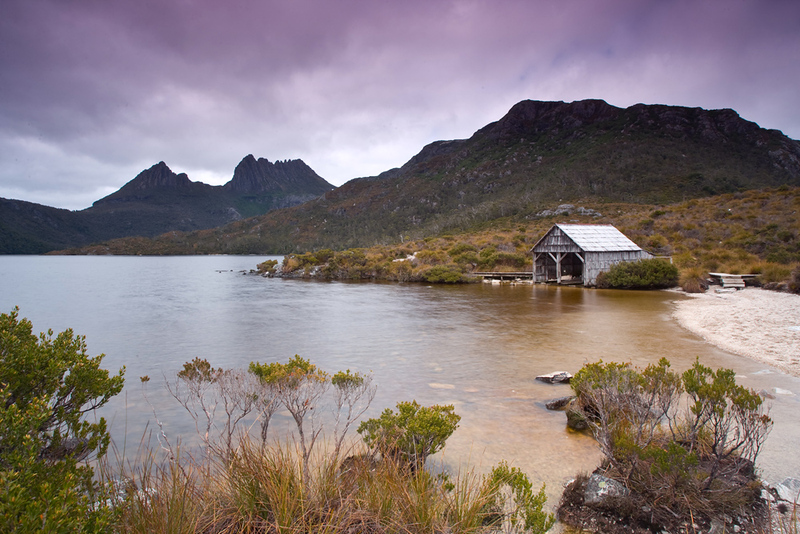 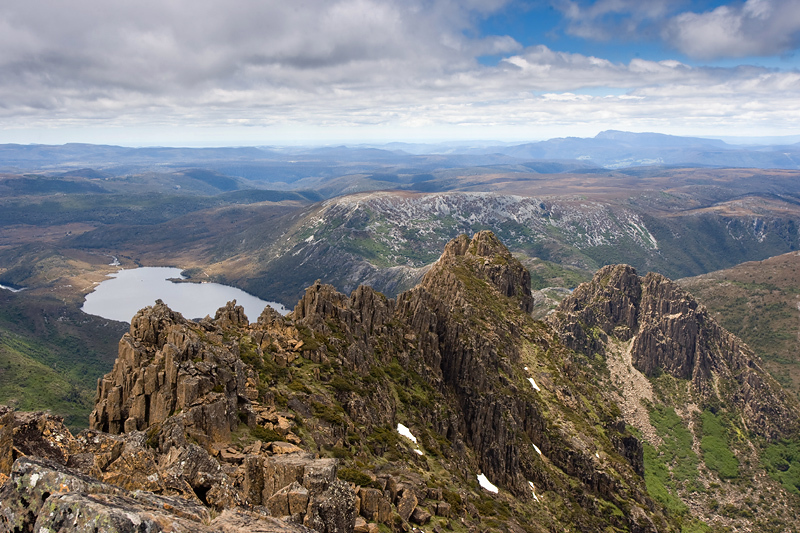 The imposing Cradle Mountain, standing 1545metres (5069ft) tall looked like a formidable peak to climb. 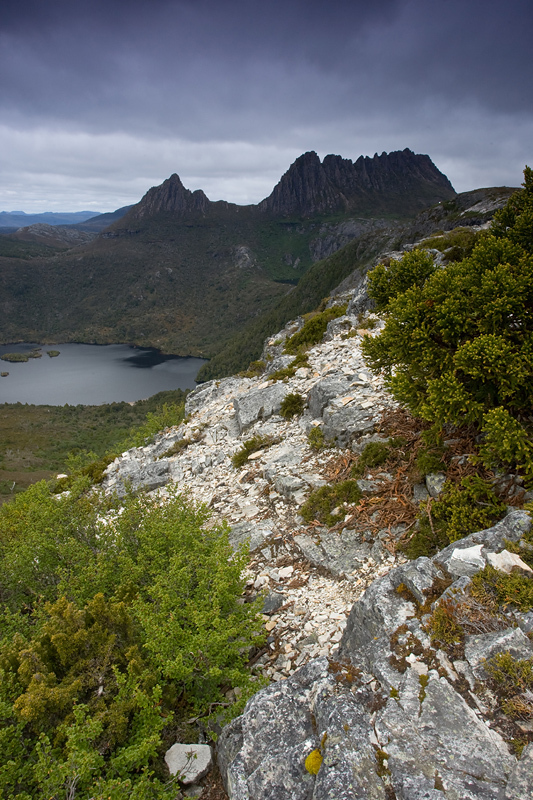 Rising to the challenge, decided to head up via the Marions lookout track, packed with camera gear, water and a heavy tripod (quite possibly the silliest idea of 2008!). 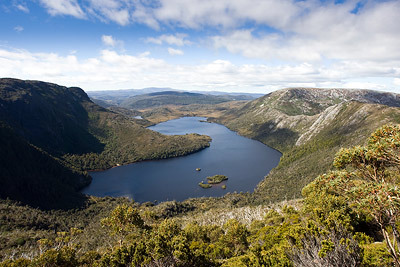 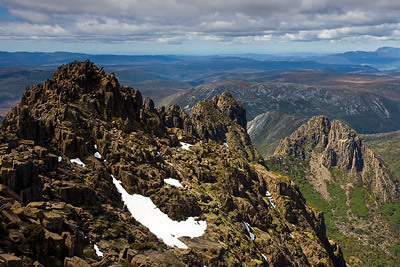 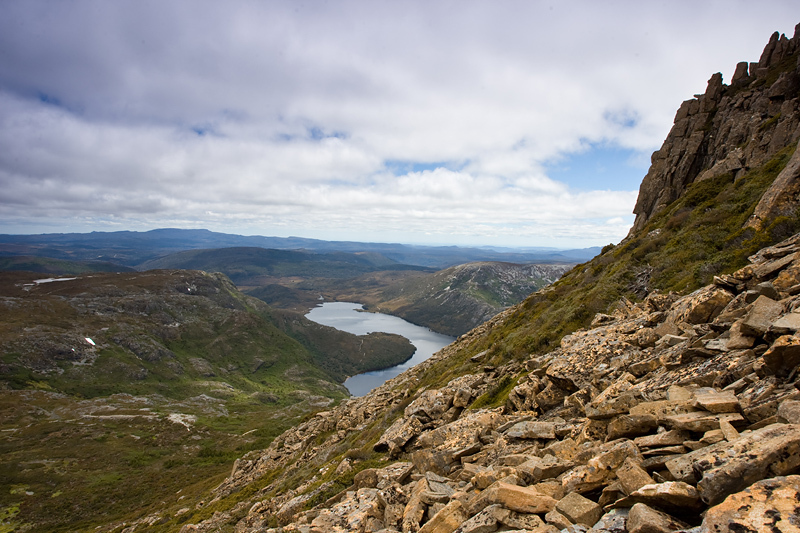 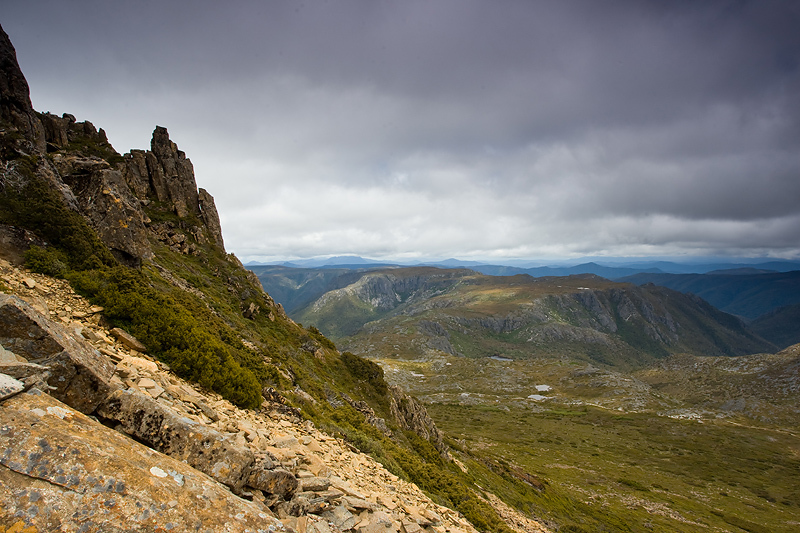 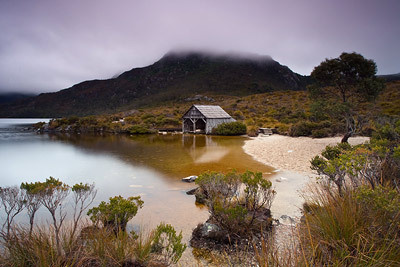 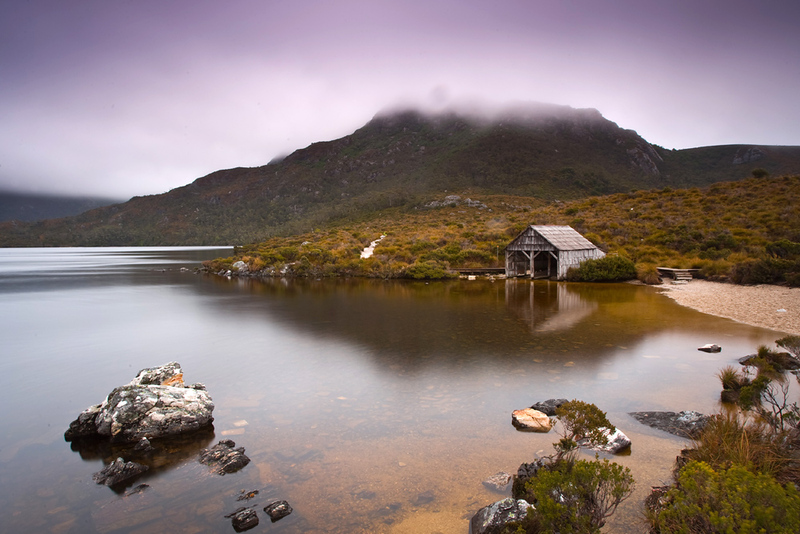 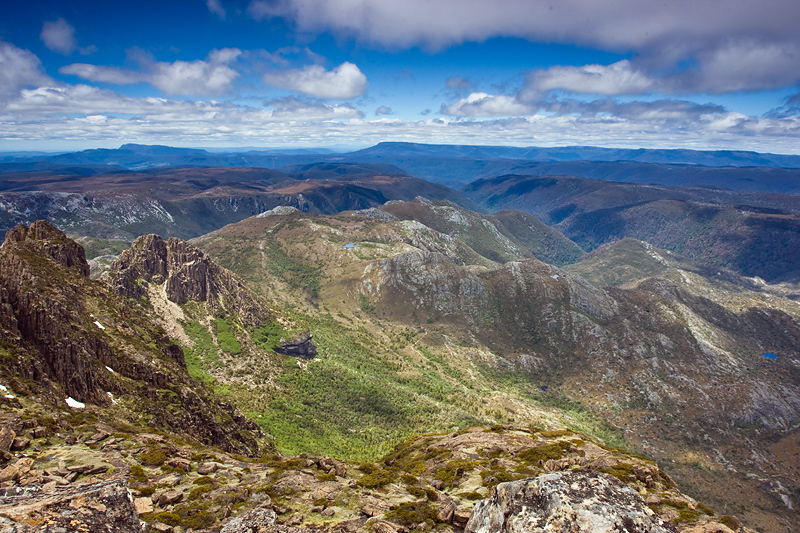 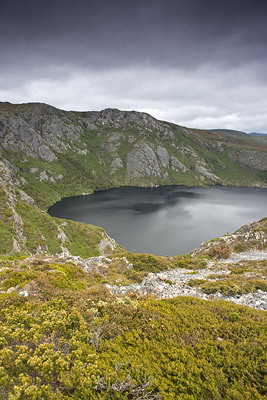 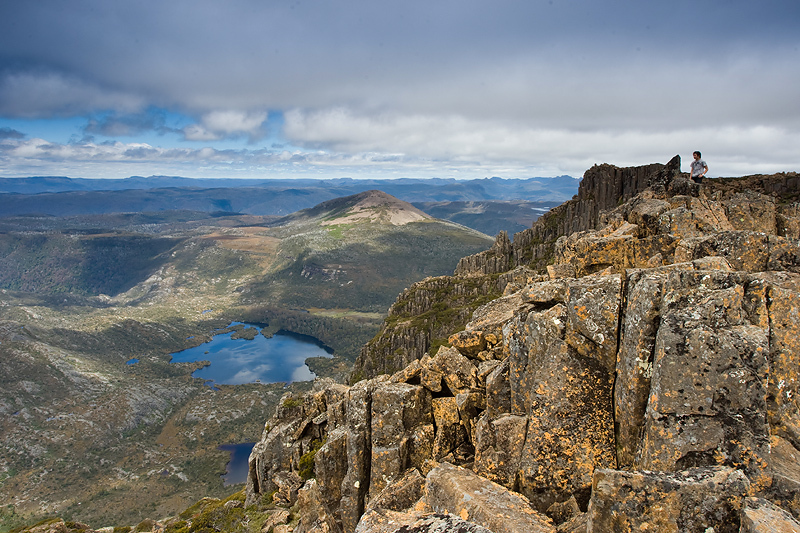 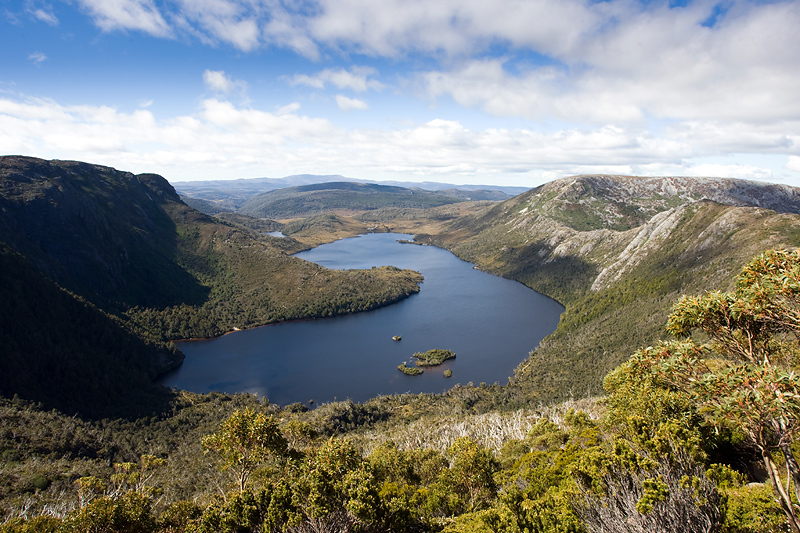 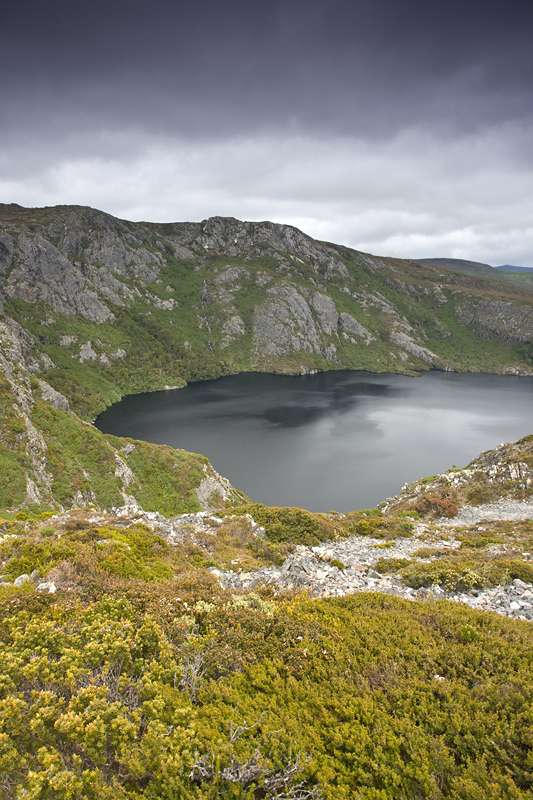 The total trek took over eight hours, including the final hour of ascent of Cradle Mountain, scrambling over large boulders on the very steep slope. The actual summit was further West along the range, however didn’t provide views over Dove Lake and the valley below. Rather than keeping to the path, many climbers including myself went straight up, which was steeper, more dangerous, but provided far superior views. 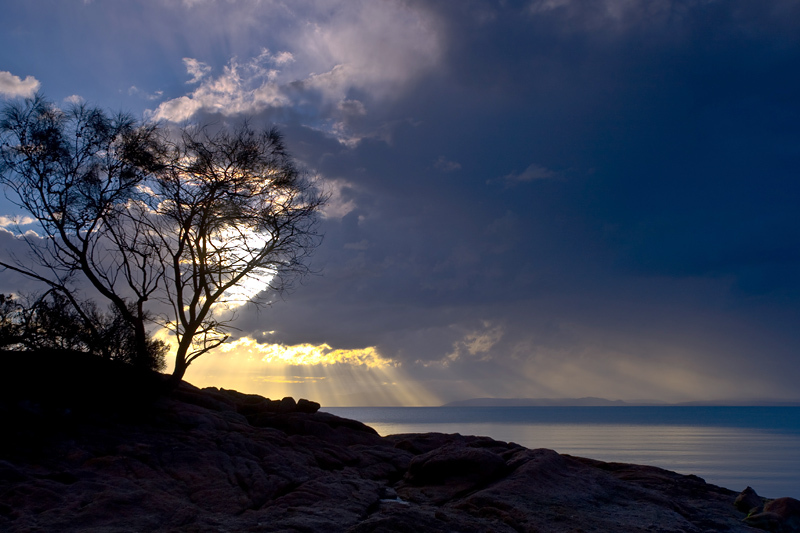 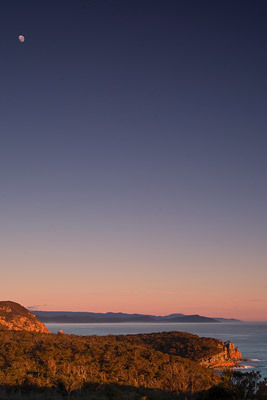 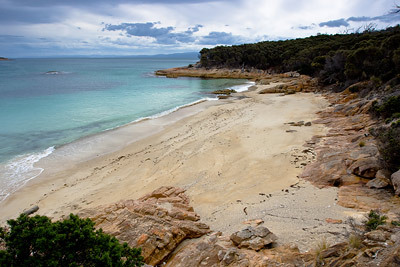 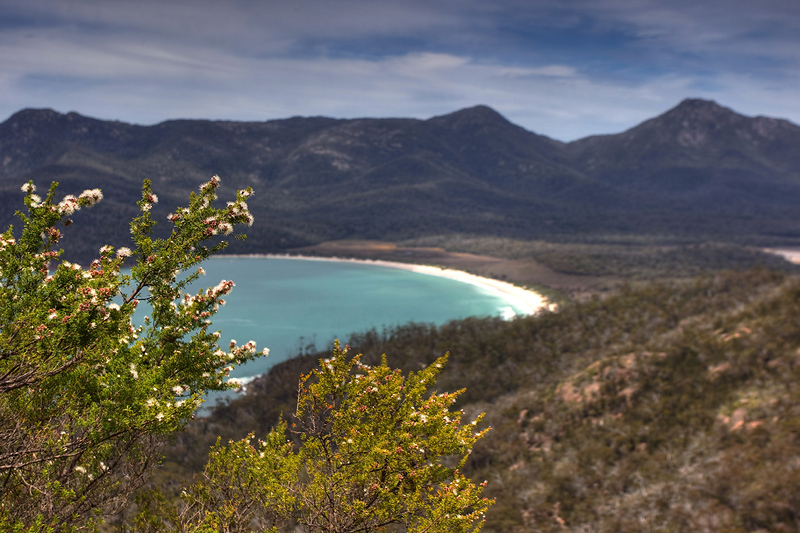 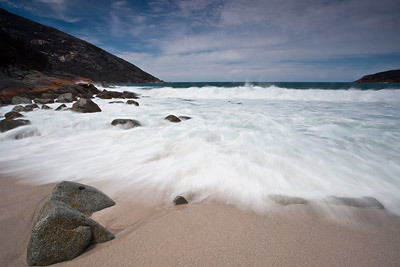 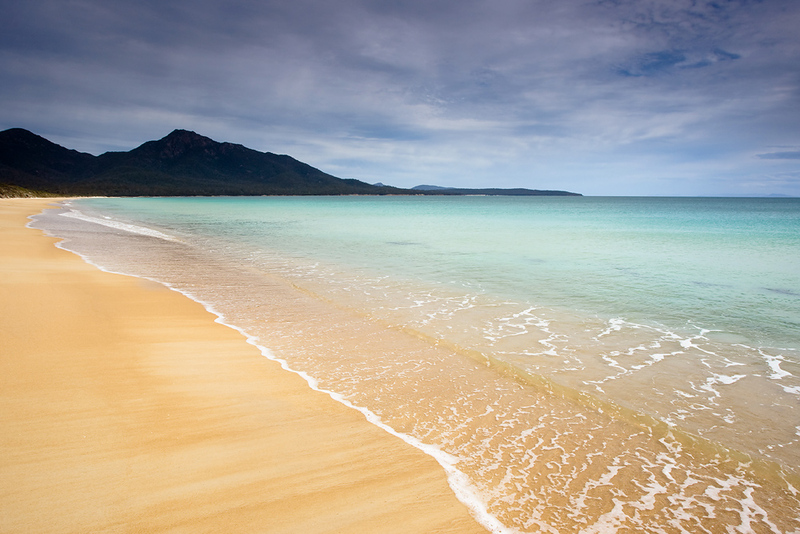 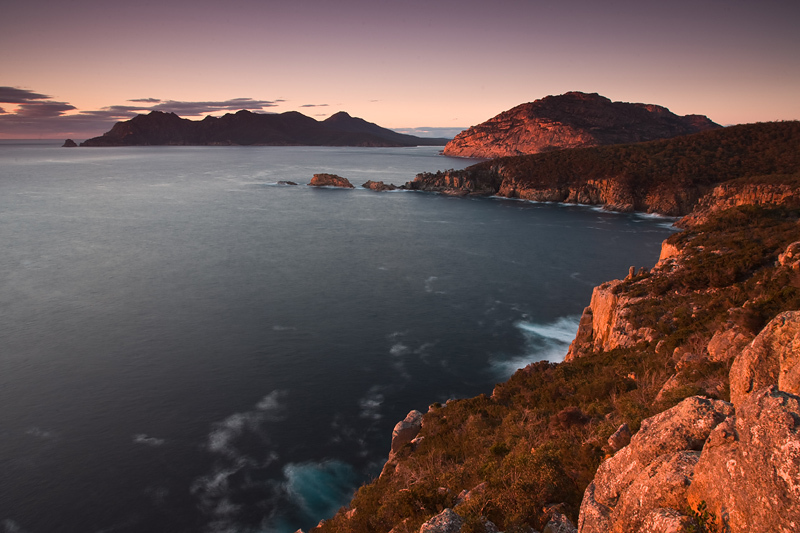 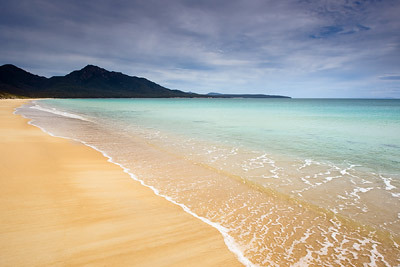 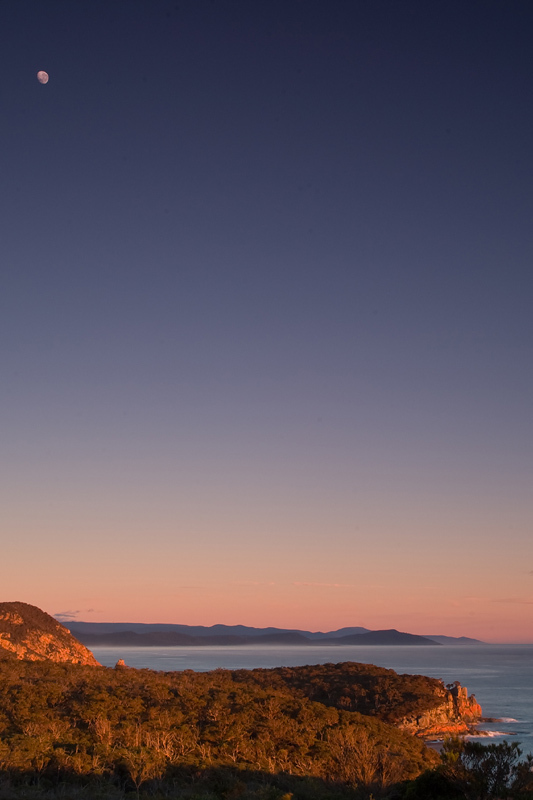 Cape Tourville on the East coast of the Freycinet National Park overlooks Wineglass Bay and the Hazards. 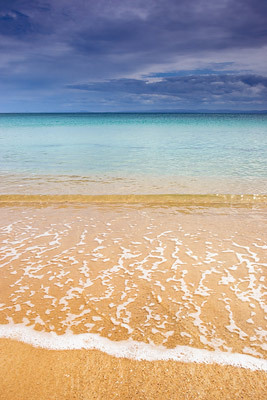 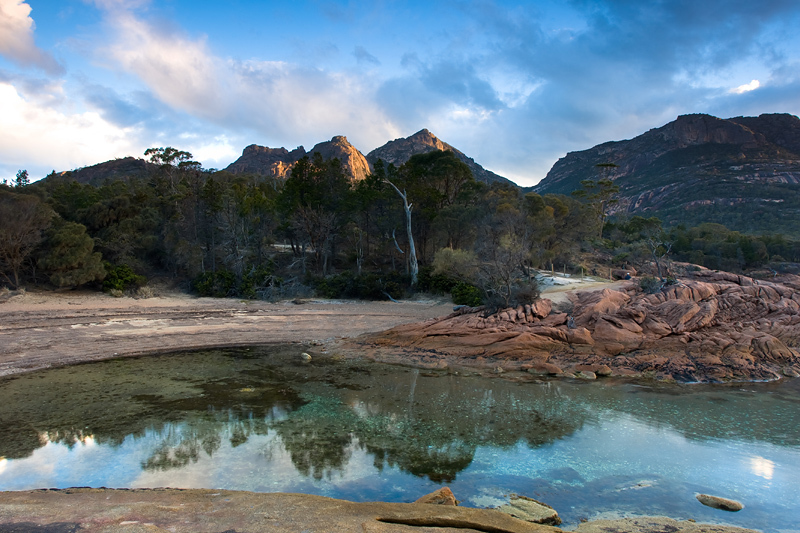 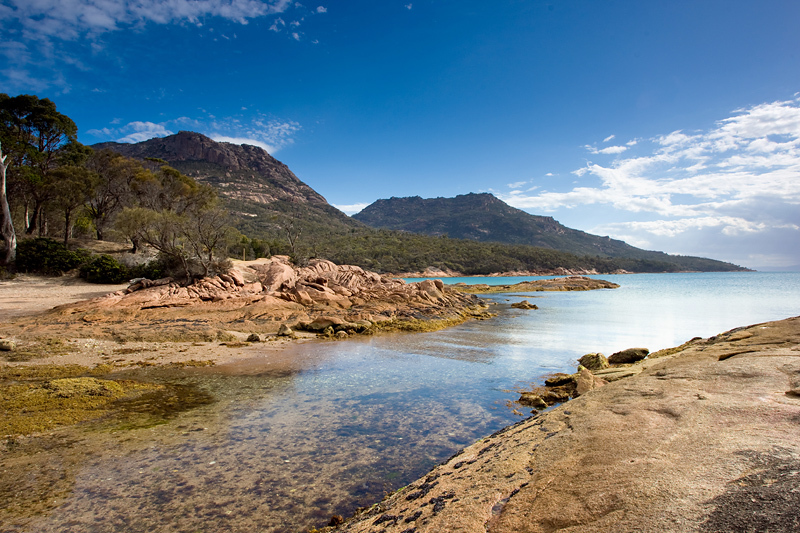 The arrival into the Freycinet National Park is marked with some spectacular views and pristine clear waters. After breakfast on the shore of Coles Bay, headed for the main carpark at the base of the Hazards (620m). 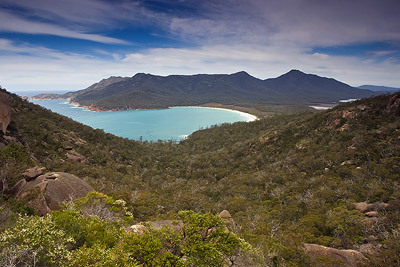 Chose to complete the 11.5km walk over the Hazards, down through to Wineglass Bay, and across the isthmus to Hazards Beach, before finally zipping around the base of Mt Hazard on the coastal track. 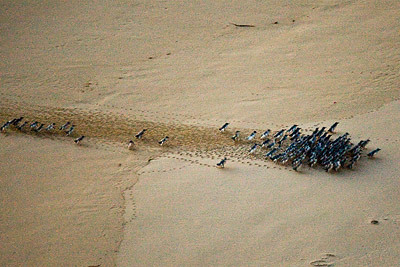 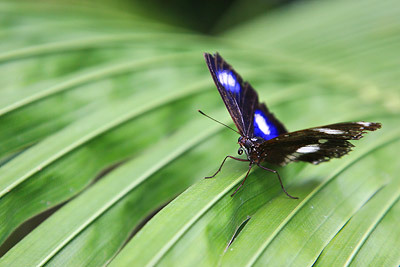 Plenty of Wallabies around, as well as snakes, frogs and spiders! 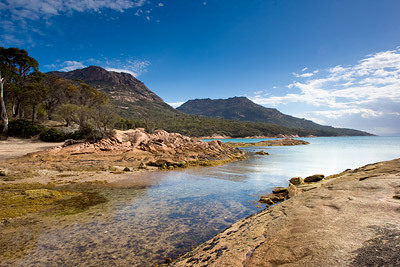 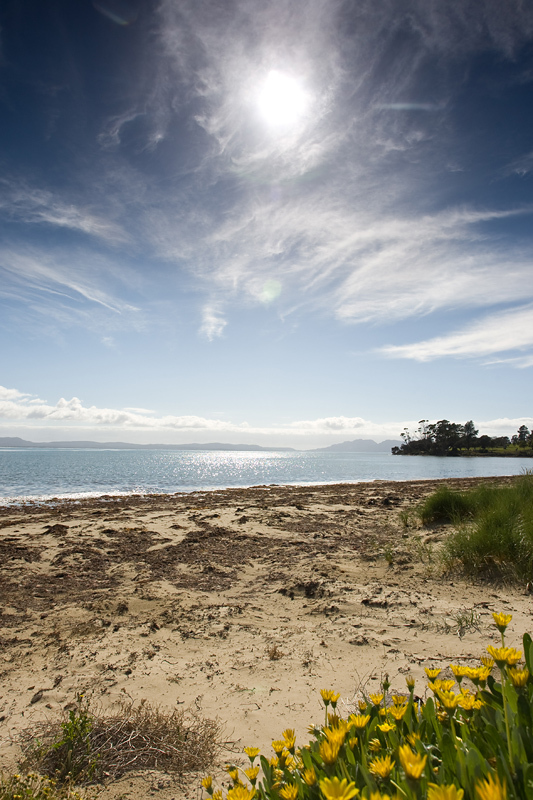 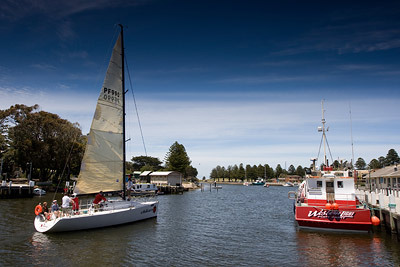 Swansea is Tasmania’s oldest seaside settlement, with views stretching outwards over Great Oyster Bay and the Freycinet National Park.